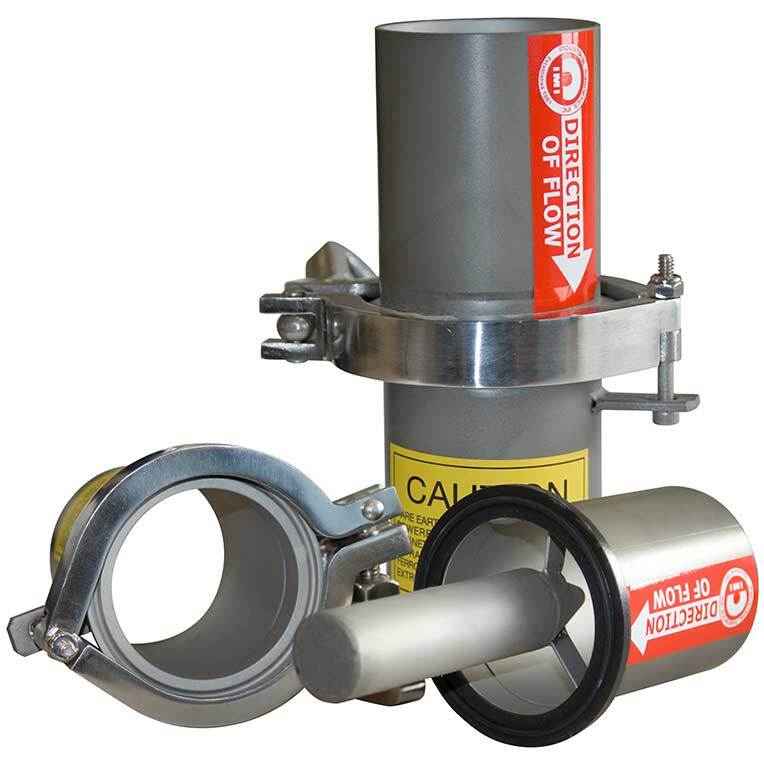 In vacuum systems, located between the gaylord and the vacuum loader, the Vacuum 4JIT magnet captures ferrous tramp contaminates. The powerful Rare Earth Vacuum 4JITline magnet provides equipment protection and improved product purity without restricting resin flow. Quickly clean captured tramp metal by removing the disconnect clamp to separate the two halves. Once separated, the powerful rare earth tube is exposed. With a gloved hand or shop rag, simply wipe the collected metal from the magnet and re-connect the halves. Vacuum 4JITline magnets are available from 1-1/2" to 2-1/2" line sizes.